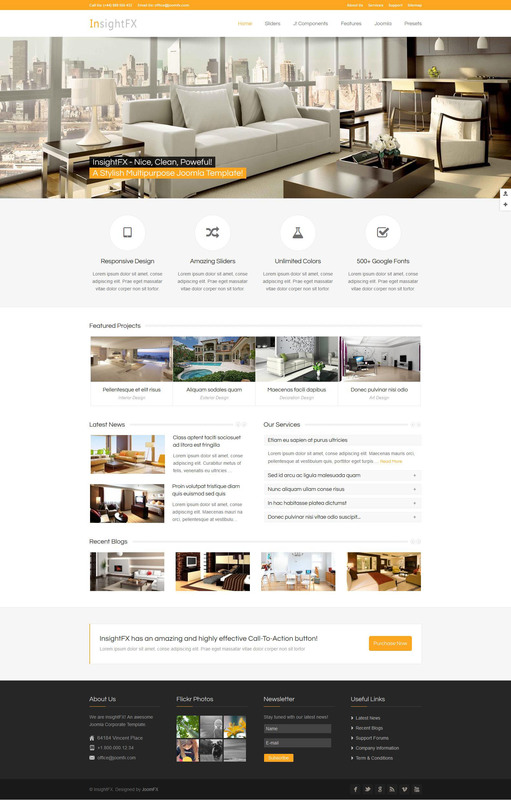 TF InsightFX - multifunctional furniture template themes for Joomla 3.1x, from well-known developers ThemeForest. Lovely design template made ​​bright - bright colors, comes with three color schemes that easily edited using the integrated template manager. Through the use of a flexible platform Gantry Framework is likely to make a web site of any difficulties and texture. In the installation package includes support foreign expansion, significantly multiplies the potential and ability of the template. TF InsightFX unmatched optimized adaptive characteristics and is fully supported by all browsers and mobile platforms.